It’s time to prioritize Comfort with Alcatel XL385. Its ergonomic shape insures you a good grip. The big backlit display and the keyboard with wide touches are designed to have big readable characters to ease the dialing. 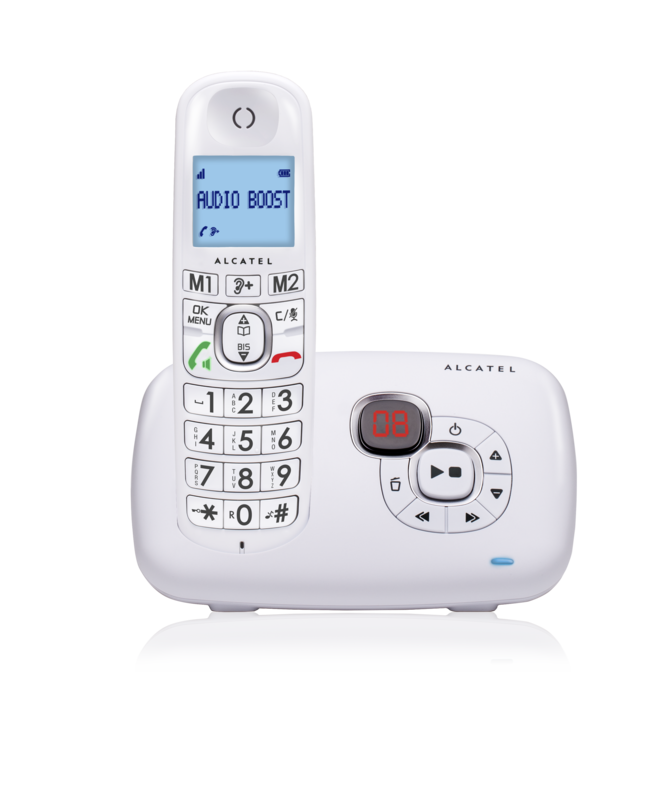 The phone is also equipped with a flashing touch for entering call. You will surely be convinced by its performance, thanks to the incredible sound quality, and the audio-boost key allows to raise the sound volume of the earphone during the conversation. We thought of everything to facilitate you the life: the high-quality hands-free function enables you to share pleasantly your conversations and the equalizer of voice gives the choice to choose between high, grave or natural voice! 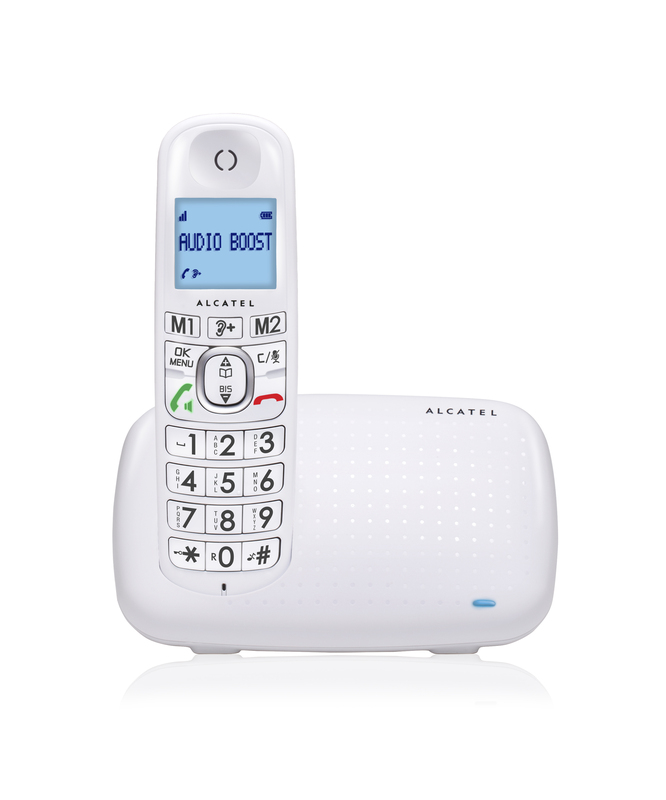 Alcatel XL385 also has 2 touches direct call (M1 and M2) so that you can call your favorite numbers, besides a directory of 50 names and numbers. Finally, the easy-to-use Answering Machine function proposes touches of control over the base as well as a counter of messages. 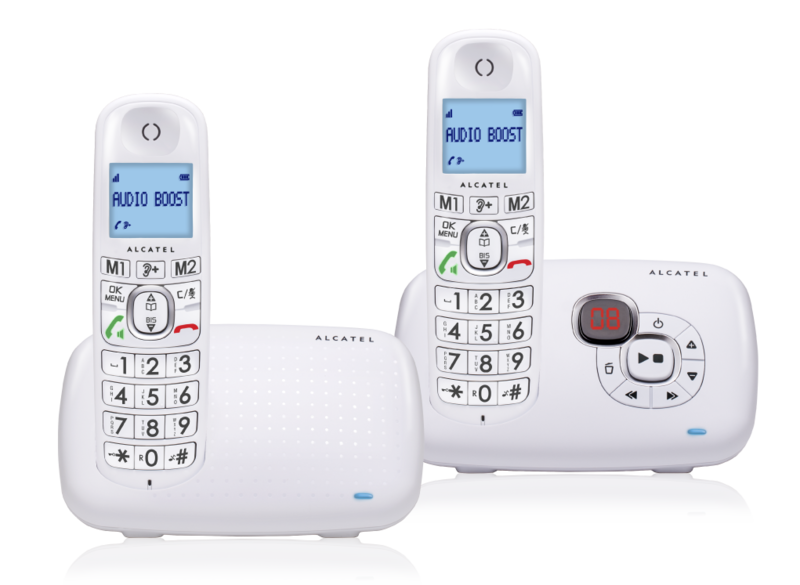 XL385 Voice is available in duo and trio packs (2 or 3 receivers) to equip the entire house.